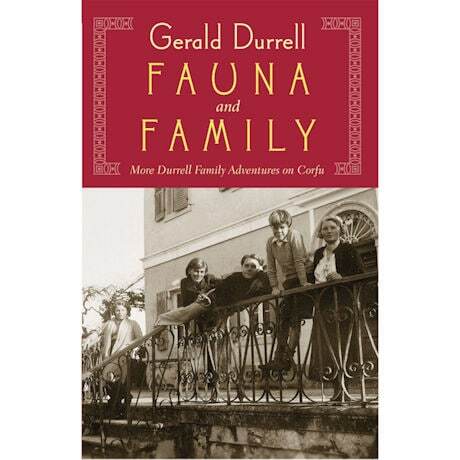 As a boy, celebrated naturalist and conservationist Gerald Durrell spent four glorious years (1935-1939) living with his family on the sun-soaked Greek island of Corfu. There, rocky hillsides, vast olive groves, and pristine seaside coves served as a boundless natural playground for the boy and his trusty canine sidekicks Roger, Widdle, and Puke, who were doted upon with gusto by colorful locals and Durrell's loving, if laissez-faire, mother. In this riotously engaging memoir, Durrell's youthful zoological adventures are intercut with humorous family anecdotes, several of which revolve around his siblings' exasperation with the rapidly expanding menagerie of wild creatures Gerry brings into their home. Steeped in idyllic charm and lively affection, Fauna and Family is a delightful, heartening romp...and inspiration behind Masterpiece's recent miniseries The Durrells of Corfu! This title is part of our 2017 Bluestocking Book a Month package.